You’re struggling with your weight. No matter how hard you try, you just can’t seem drop those extra pounds. Maybe it’s because you just can’t resist another slice of pizza or that cookie—or three. Maybe it’s because you really hate to exercise. Or maybe it’s a combination of both, along with high-fructose corn syrup in easy-to-eat and easy-to-prepare processed foods, fast foods, super-sized soft drinks, and an increasingly sedentary lifestyle. Whatever’s causing your personal battle of the bulge, don’t feel alone. According to the Centers of Disease Control and Prevention, more than two-thirds of American adults are overweight—they have a body mass index (BMI) between 25.0 and 29.9—and a third are obese—BMI of 30 or higher. And roughly 17 percent of U.S. children from ages two to 17 are obese as well. But Americans aren’t the only ones facing an obesity epidemic. It’s an increasing problem—one that can’t be explained by a poor diet and lack of exercise alone—all over the world, even in developing countries. And it’s not just human beings. Animals, like pets, urban rats, and lab animals are also getting heavier. Being overweight or obese is a serious—even deadly—danger to your health. Carrying around that extra weight increases the risk of cardiovascular disease, type 2 diabetes, high blood pressure, some cancers, stroke, high cholesterol, liver disease, gallbladder disease, sleep apnea, osteoarthritis, and some gynecological problems. The risk becomes higher the heavier you get. Being overweight or obese may also affect your self-esteem and self-confidence as well, keeping you from getting healthy exercise at the gym or the swimming pool because you hate how you look in work-out clothes or a bathing suit. And they can be a cause of serious anxiety, mood disorders, and depression. But being overweight or obese may not be merely a willpower issue. There is increasing evidence that obesogens—dietary, pharmaceutical, and industrial chemicals that may alter metabolic processes and cause some people to gain weight more easily than others—may also be a factor. These chemicals disrupt the endocrine system’s normal development of fat cells and their proliferation, disrupt appetite controls in the brain, and create a life-long energy imbalance that may start in the womb. There are many others. Phthalates—plastic additives—for instance, are used in everything from enteric coatings on pills to gelling agents and lubricants. 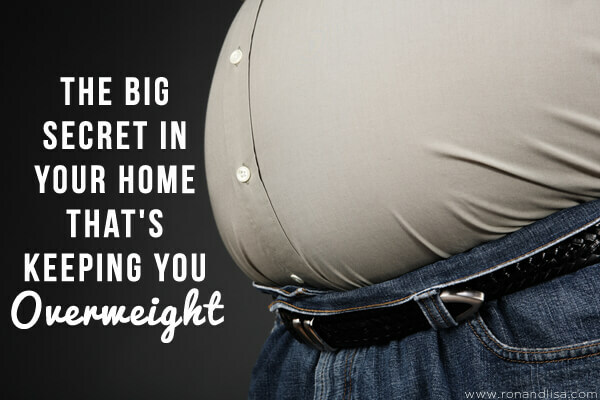 Overweight and obesity are serious health problems. But as science learns more about obesogens and their possible role in the obesity epidemic, it may be that lack of willpower isn’t the only culprit after all. Leslie Vandever is a professional journalist and freelance writer with more than 25 years of experience. She lives in the foothills of Northern California and writes for Healthline.